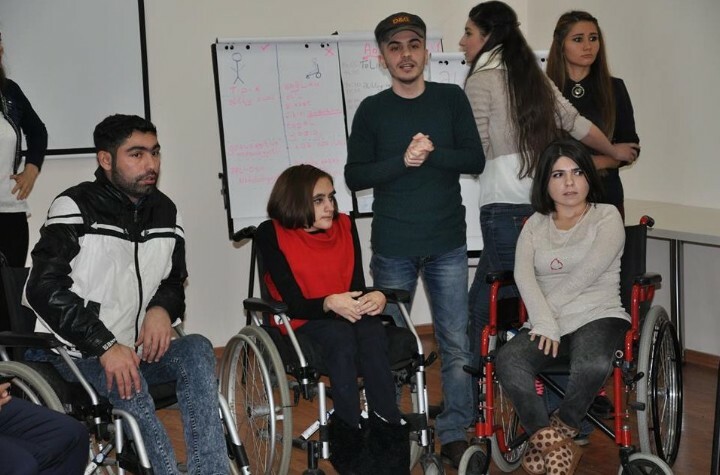 The TEMPUS Project “The Establishment of Foundation for the Integration of Disabled People into HEIs of Azerbaijan” (ESFIDIP), delivered by the private Khazar University in cooperation with a number of local and European higher education institutions (HEIs), as well as sectoral ministries and civil society organizations (CSOs) of Azerbaijan, has been completed. In this respect, we had a conversation with the manager of the Project, Rima Mammmadova, who is also the coordinator of the Centre for Students with Disabilities (CSD) under the Khazar University, developed in the framework of the aforementioned Project. - What was the special description of the delivered Project? - It should be noted that the Project was distinctive in that up to this day neither in Azerbaijan nor abroad such a wide-scale activity, with the involvement of so many partners, and with such duration has yet been delivered. The Project was carried out within 3,5 years, December, 2013 – May, 2017. For the implementation of the goals and objectives of the Project five state HEIs of the country were engaged in the Project as partners. One of them is Azerbaijan State University situated in Baku and other 4 state universities that represented Ganja, Nakhchivan, Sumgayit and Lankaran. Besides, we had agreements with the Ministry of Education, Ministry of the Social Protection of the Population, as well as with the Union of Disabled People Organizations (UDPO) of Azerbaijan, which includes more than 45 local public organizations. Within the framework of our Project for the first time in the country the centers for students with disabilities have been established in 6 indicated HEIs. On the website http://esfidip.khazar.org/, created specifically for the project, in Azeri and in English you can get acquainted with the goals and objectives of the Project, get information about local and European partners, on current work, read documents drafted during project implementation, and in the “Gallery” section you can see the photos taken during trainings and meetings for the project implementation period. - What are the goals and objectives of the Project? 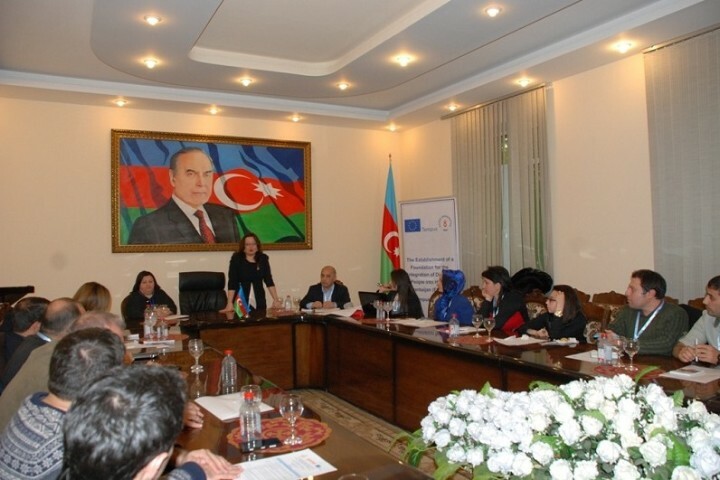 - The goal of the Project was to create the framework for the integration of persons with disabilities into the HEIs of Azerbaijan and introduce the European practice into local universities. In the furtherance of these goals, such tasks as the development of policy and relevant regulatory documents for attracting and supporting persons with disabilities into HEIs of Azerbaijan were assigned and successfully accomplished. 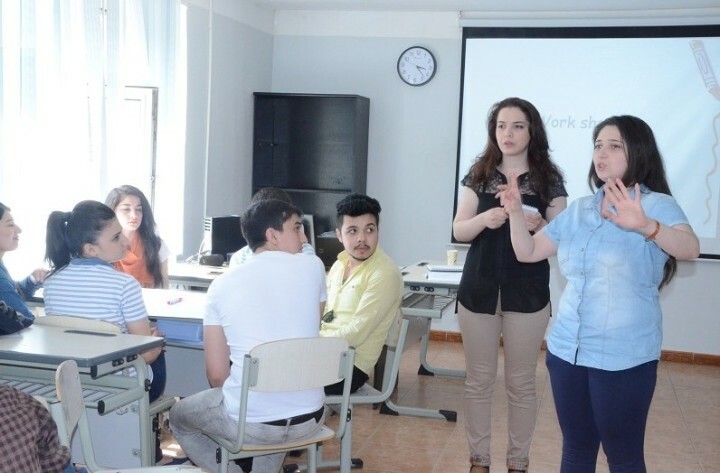 Within the framework of the Project, activities related to the organization of thematic trainings for students, teachers and other employees of collaborating local universities were delivered. In addition, as previously noted, the centers for students with disabilities were established in all local collaborating HEIs. Throughout the Project, we often hold meetings not only with specialists, but also with the public. During these meetings, we informed them about the goals and objectives of the Project, and learned their opinions. This helped us in correcting and improving the work on the implementation of activities within the framework of the Project. - Was the successful practice of other countries used in the implementation of the project? - Yes, absolutely. Indeed, among the partners of the Project there were not only local universities, ministries and CSOs. We worked closely with the University of Lodz in Poland, the State University of Macedonia in Greece, University of Graz in Austria and Human European Consultancy, which specializes in the development and monitoring of regulatory documents on human rights. We visited these institutions, personally got acquainted with their work in this field and received relevant consultations, which helped us in the development of documents for the establishment of the CSD in Azerbaijan. - What successes or most important aspects of the Project are most memorable in your opinion? 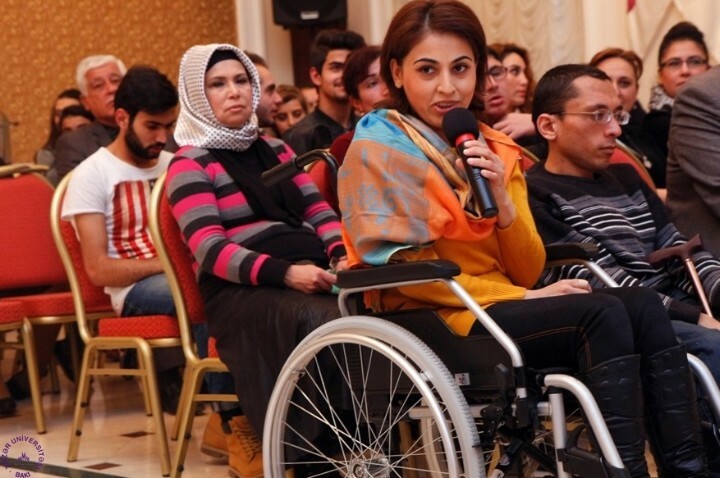 At starting of the Project students with disabilities had certain distrust in it. This was primarily associated with the fact that they hesitated to talk about their problems and sometimes hid them. But on the other hand, they thought that their peers and teaching staff would not address their problems. However, events proved them misguided. With the help of the CSD a lot of problems of such students, who anyhow are connected with the studying at the university, where the CSD operates were solved. Just, for example, 3 disabled students of Khazar University appealed to us with a request to consider the possibility to reduce the tuition in our university. Their request was satisfied by the governance of the university and per year tuition was reduced threefold. They also receive free college textbooks and use the infrastructures of the CSD. We also help in resolving their social problems. - The Project is completed. The reasonable question arises - how long will these centers operate? - As it was supposed at the Project start, upon its completion all these centers, established on the basis of the universities, have been included in the balance of the universities, and began to work on an ongoing basis, having their own technical base and staffing unit. For several months these centers have been operating without financial support of the completed project. Along with that, we are working hard on development of a new project in this direction. The main goal of the new project proposal is to increase the number of such centers in HEIs of Azerbaijan. No doubt that the successful results of the implemented project will provide fertile ground for the implementation of the new Project.